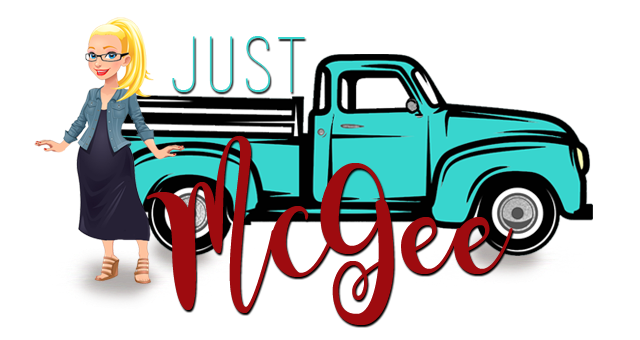 Just McGee: it's different. and that's ok! it's different. and that's ok! No less than 40 people. Fast forward 20 (or so) years. And that, ladies and gentlemen, is where I got stuck. Growing up the oldest of 40 grandkids (give or take a couple-but literally only a couple) where most of us lived within a ten mile radius I had a rather unique childhood. Problem is…I didn’t realize that it was unique. Who WASN’T best friends with their cousins? Who DIDN’T bounce between aunts houses on the weekend to hang out? Who DIDN’T do every Sunday dinner at Grandma’s and have to fight for a place to sit? I grew up with the idea that when I had kids I would create the exact same atmosphere. Because surely that was the one and only way to successfully raise kids-right? Jump forward through marriage, children, divorce. Major move away from my mom and sisters, remarriage, etc. The last two years I have really had a love/hate relationship with my decision to live a 6 hour drive from my extended family. Being the oldest of six girls there is a blessing in not being in the hub-staying out of the drama and loving my family even more when I do get to see them. At the holidays, however, it’s a struggle to hear about great gatherings that our little family is not a part of simply because of distance. Christmas Eve was a delight. As my friends posted on Facebook that they were running to the inlaws house or getting everyone dressed and ready, I enjoyed Mr. Man and the four little one’s making a “roast beast” for dinner in our pj’s. We played games we hadn’t played before. We hung out. We laughed. “Just” the six of us. We made cookies and put out carrots for Santa’s reindeer. We read The Story. The kids all slept tucked in together in the same room. Peaceful. Loving. Calm. Amazing. Fun. Christmas morning started at 6am (perks of being divorced parents = kid free weekends, downfall = sharing kids on Christmas leads to very early mornings!) We unwrapped and enjoyed ourselves until it was time for the kids to head to their other parents houses by 10am. By 11am, Mr. Man and I took a deep breath and reveled in our Christmas celebration "just" the six of us. The thing is…I always wanted to recreate what I had as a kid because I felt so blessed by it. But the truth always happens and what the truth reminded me is that different can also be great! But more often than not it’s also a great new adventure. Different has been a blessing. Just the six of us is exactly where we belonged. The truth always happens! Love it. You are wise beyond your years my dear in learning to enjoy the memories you are making now and treasuring those from your past. Some day (and seriously--it happens so quickly) your grandkids will be fighting for a spot at the table at your house. Did you know I'm number 12 of 38 grandchildren? And I had the same thoughts running through my mind during our visit this year. Hm. We should get coffee ASAP. mini-McGee goes to high school.